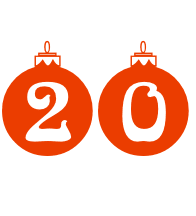 Behind door number 20 is our largest ensemble included in our calendar - Sheffield's premiere anti-choir, Juxtavoices. Juxtavoices is a large antichoir which includes many familiar faces from Sheffield’s leftfield music, poetry and visual arts scene. Although the group performs structured scores, no fixed pitches are ever notated, and the group uses improvisation to shape the detail of the scores as the music progresses. Both trained and untrained voices are included. 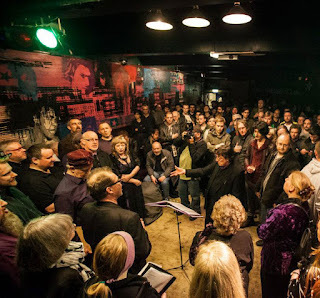 As well as playing normal concerts, the group is to be found in various unexpected public places and at poetry / text events. Julie Archer, Martin Archer, Jon Ashe, David Bartholomew, Ian Baxter, Mick Beck, Nathan Bettany, Geoff Bright, Chris Bywater, Clinton Chaloner, Julie Cole, Laura Cole, Emma Cooper, Paul Coupe, Edward Eggleston, Kat Fletcher, Sharon Gill, Alan Halsey, Matt Harling, Lyn Hodnett, Christine Kennedy, Bo Meson, Tamar Millen, Geraldine Monk, Rick Moran, Liam Murphy, Tim Plant, Marion Rout, Liz Searle, Wolfgang Seel, Walt Shaw, Jan Todd, Jane Tormey, Caroline Veal, Peter Veal, Linda Lee Welch, Gillian Whiteley.